Will Hurley was an attractive, charming, and impressive student at Dublin’s elite St. John’s College—and Ireland’s most prolific serial killer. Having stalked his five young victims, he drowned them in the muddy waters of the Grand Canal. Sentenced to life imprisonment when he was just nineteen, Will is locked away in the city’s Central Psychiatric Hospital. Freshman Alison Smith moved to the Big Smoke to enroll in St. John’s and soon fell hard for Will Hurley. Her world bloomed … and then imploded when Liz, her best friend, became the latest victim of the Canal Killer—and the Canal Killer turned out to be the boy who’d been sleeping in her bed. Alison fled to the Netherlands and, in ten years, has never once looked back. When a young woman’s body is found in the Grand Canal, Garda detectives visit Will to see if he can assist them in solving what looks like a copycat killing. Instead, Will tells them he has something new to confess—but there’s only one person he’s prepared to confess it to. Catherine Ryan Howard was born in Cork, Ireland. Her debut thriller, Distress Signals, was an Irish Times and USA Today bestseller and was short-listed for the Crime Writers’ Association John Creasey New Blood Dagger and the Irish Crime Novel of the Year. 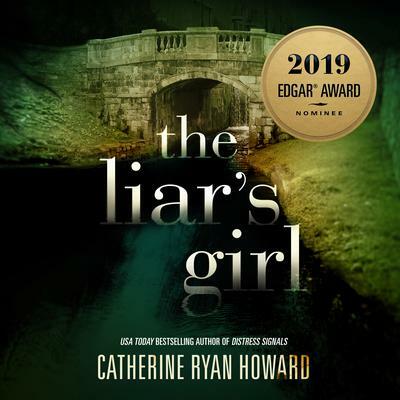 Her second novel, The Liar’s Girl, is a finalist for the 2019 Edgar Award for Best Novel. She lives in Dublin.